Technology is everywhere. We have our Netflix, GPSs and even cameras on our doorbells. We have DVRs to fast forward through commercials and satellite radio so we don’t have to listen to radio announcements. We only pick up a magazine or a newspaper if we are waiting at the doctor’s office or barber shop. And when it comes to websites, we are so adept at online surfing, we’ve fully trained our minds to tune out website banners completely. So if you’re a business, how do you ever get ahead? It’s time to acknowledge that most consumers have become capable of completely disregarding the “noise” of most marketing efforts. That’s why content marketing is imperative. Content marketing is the creation and curation of unique, relevant content that customers will find useful and valuable. It’s a strategic approach that doesn’t explicitly sell or promote your brand, but instead stimulates interest in your product or services. 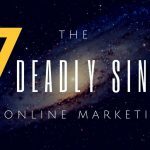 In short, content marketing is the art of communicating with potential customers without directly selling to them. In the end, this creates customer loyalty and higher retention. On average, it takes around 7 touchpoints for a customer to remember you and your brand. Content marketing ensures that each of those touchpoints is maximized to create experiences that truly matter and ultimately, help rein in more sales. Behind every great brand is a wealth of valuable and relevant content that really connects with the company’s audience. Content marketing has become a necessity for any modern brand and is at the heart of most successful digital marketing campaigns. Your audience wants to know that they are dealing with experts who know the ins and outs of the industry, and that’s exactly what content marketing provides – a platform to demonstrate expertise in the field while providing valuable information to your audience. The oil and gas industry is no exception. Your business depends on you being a trusted expert in your field. 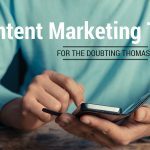 You may be thinking “Yes, but is content marketing really that relevant to the oil and gas field?” The answer is ABSOLUTELY. James Hahn, owner of Tribe Rocket, sums it up nicely in The Top 5 Marketing Mistakes Oil & Gas Operators Make, ‘…our industry is at an inflection point. New technologies aren’t just changing the way people live, they are changing the way they think.’ People in oil and gas tend to have a very traditional mindset that says, “I need to meet people in person to build relationships and grow my business.”’ This poses a huge problem, though, as our world has become more and more digital, where consumers rely mostly on websites and social media as their first source of contact with brands. This means that building relationships with potential consumers has dramatically changed as their first encounter with you more than likely will not be face-to-face. As time has gone on, and technology has advanced, traditional business card marketing techniques are being superseded by those who are venturing into promoting their business on digital channels. The game has changed, and in order to be relevant, you must follow the tide. Content marketing has become the bridge connecting the traditional age to the tech age, merging them into a seamless digitization of old school, “good ol’ boy” marketing. It’s not out with the old – it’s simply the promotion of the old in a new and relevant way. 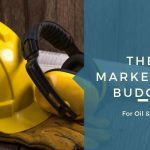 Take a look at a few of our favorite examples of great content marketing in the oil and gas sector from some big names out there. They’ve done an excellent job of providing great content across multiple channels. 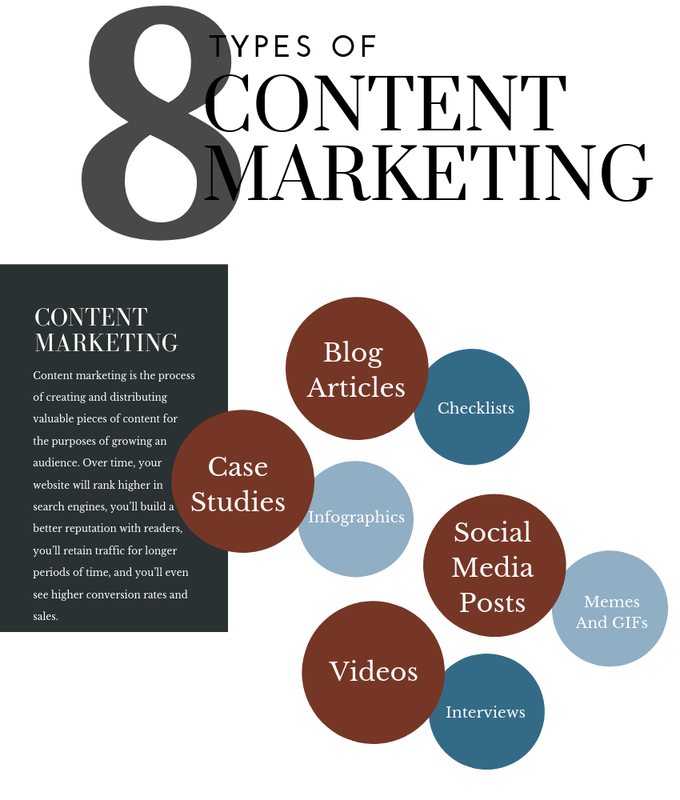 Click a content marketing example to enlarge. See how easy it is to create valuable content for your audience? Take their lead, and get ready to jump in with both feet! It may seem intimidating to face these changes, but digitization provides pragmatic solutions to today’s challenges. Help your audience rise above the noise and see beyond it… help them see YOU! It’s this mindset that will set you apart as an industry leader, a leader who is reaching for what’s next. (Because isn’t what’s next what really matters?) Don’t just take opportunities—make opportunities. Harness the power that content marketing provides. Are you ready? Your audience is waiting for you. Reach out and grab them. For more on some of the digital marketing leaders in the oil and gas sector see our Digital Done Right: Following the Leaders report. Let’s talk about your content marketing questions.